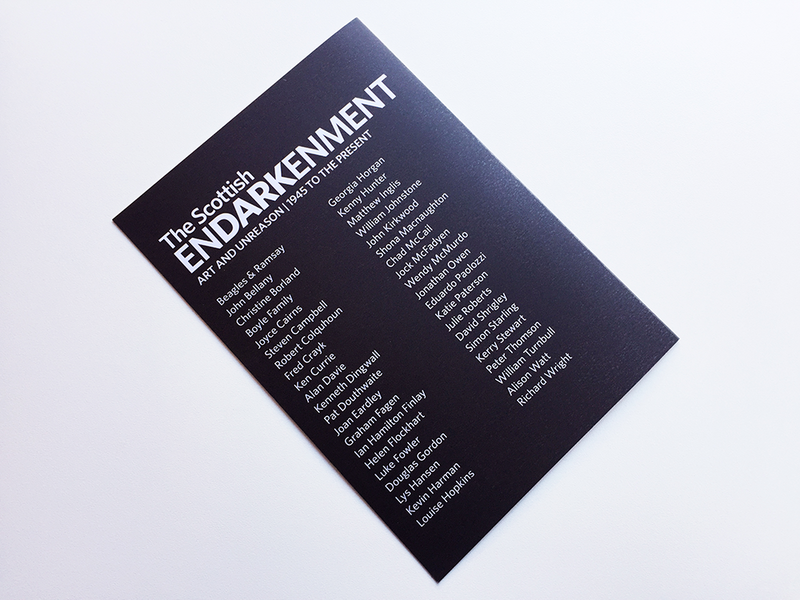 I used bold type to emphasise 'dark' in the word 'Endarkenment' (obviously, a play on enlightenment) both as a way of making an unfamiliar easier to read and understand, and to amplify the meaning of the title. 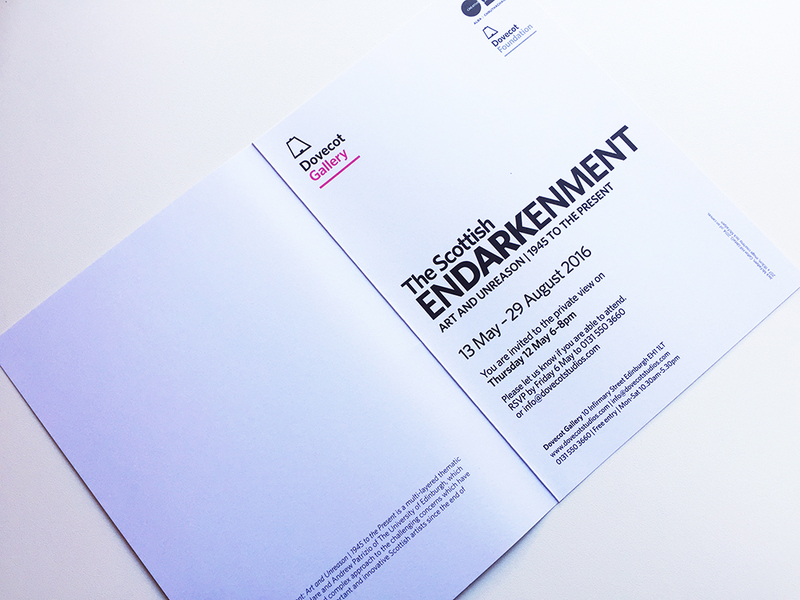 I very much enjoy finding new ways to use Whitney, the 'official' Dovecot typeface, to create logos that are appropriate to the content of the exhibition using the wide range of weights and style that are available. The poster follows the format and template that I have established for all Dovecot posters: a central image with bands of white at top and bottom, containing all other information. The gallery logo always appears on its own in the left of the top band to give it emphasis, with other logos in the bottom band on the right. Textual information is always ranged left. 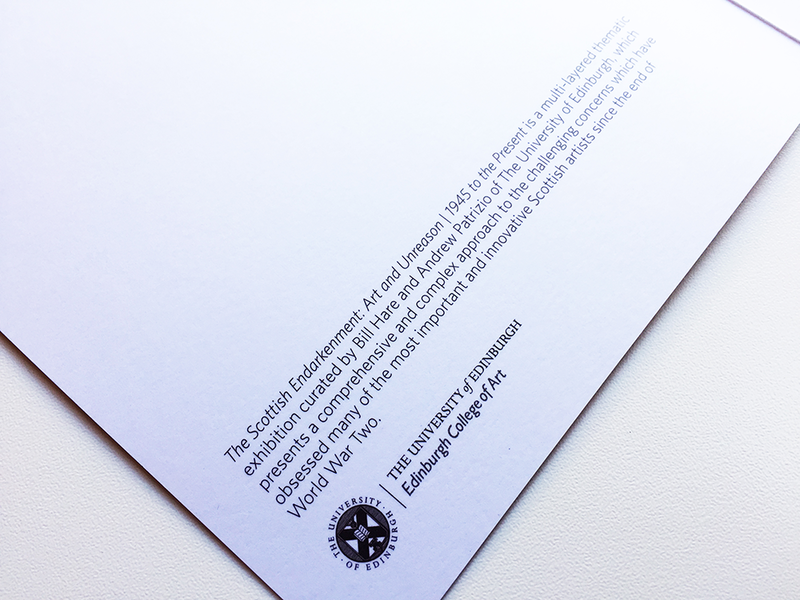 Invitations follow a similar layout. Both are always subtly adjusted according to the content whilst still maintaining the brand identity. 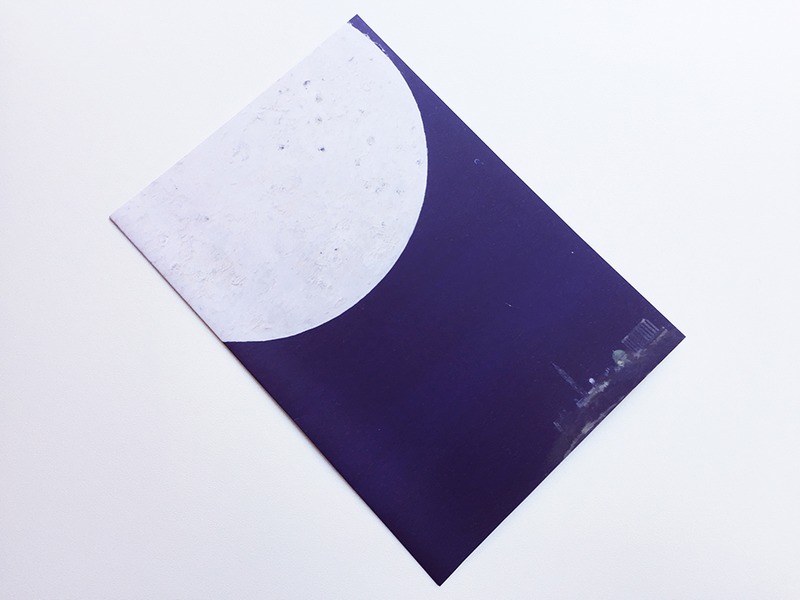 The lead image is a detail of Calton Hill, a painting from 2014, by Jock McFadyen. 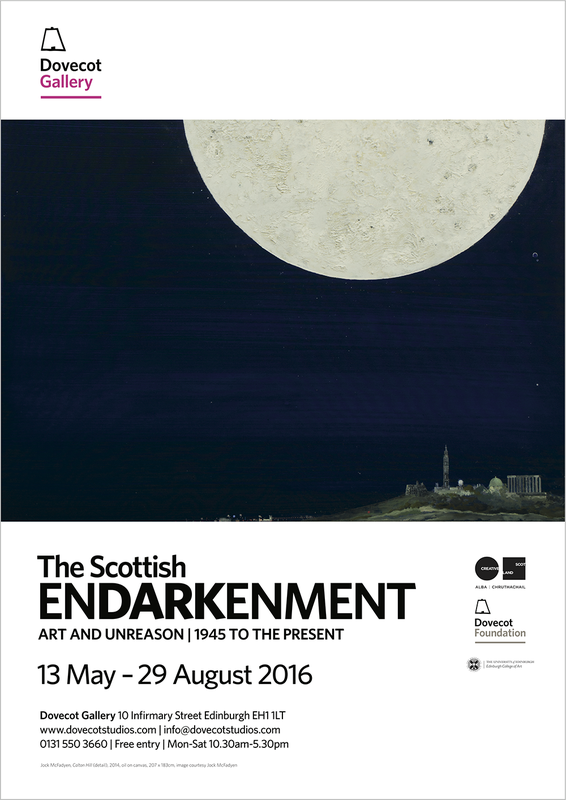 I was delighted to work with this image as Jock taught me painting when I was a student at the Slade in the 1980s. 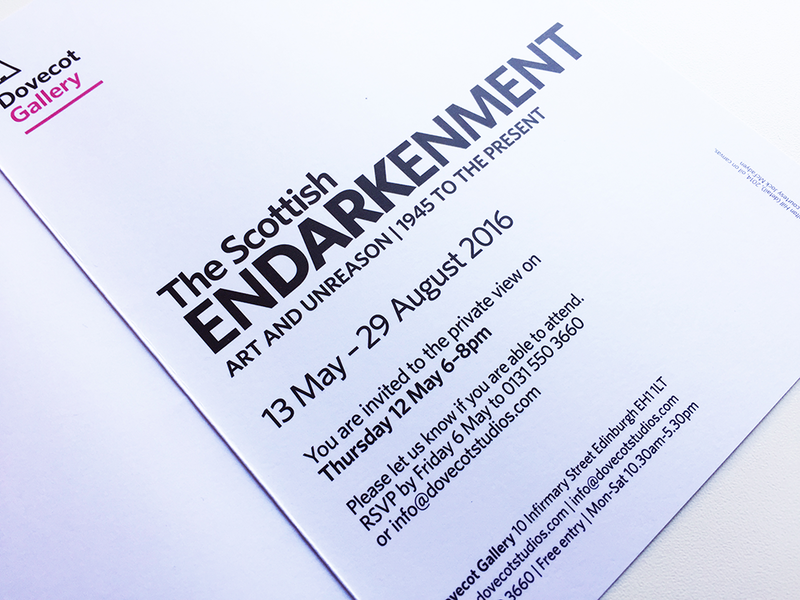 The painting has subsequently been acquired for the collections of the National Galleries of Scotland. 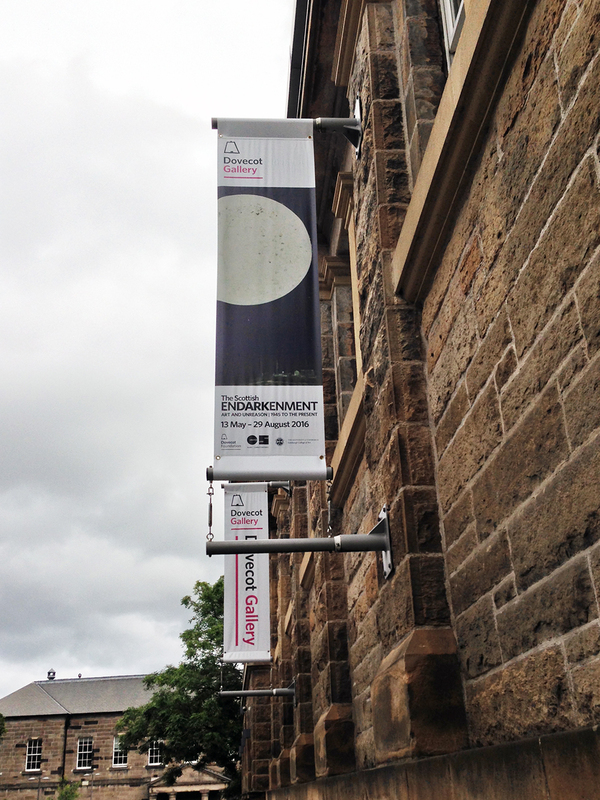 The banner also follows a format and template that I have developed, but usually has to be tweaked a little bit more than the poster given the narrow size and the need for logos and text to be visible from the ground (the banners are displayed high outside Dovecot Gallery, which is located at the end of Infirmary Street so the banner also need to be eye-catching from South Bridge, where most of the traffic passes).